Have you ever wondered how pizza became New York City’s quintessential street food? Get ready to find out as we unveil pizza’s very own immigration story. Brendan leads listeners through pizza’s journey from Pizza Napolitano, a street food of the working-class that was looked down upon by the wealthy, to the American staple that it is today. Scott Wiener runs Scott’s Pizza Tours, a tour company based in New York City that reveals the secret history of pizza! In addition to running the cheesiest guided tour in New York, Scott writes an award-winning column in Pizza Today Magazine, contributes to PMQ’s Pizza Magazine and PizzaMarketplace.com, and judges pizza culinary competitions across the globe. He is the author of Viva La Pizza! The Art of the Pizza Box, a book about his Guinness World Record collection of pizza boxes. Scott also founded Slice Out Hunger, a nonprofit that has raised over $300,000 to aid hunger relief efforts in the US since 2009 by using food donated by independent pizzerias. Scarr Pimentel founded his namesake pizzeria just three years ago, but it has already become one of New York’s favorites. Conveniently, it’s located on Orchard Street just a few blocks from the museum. 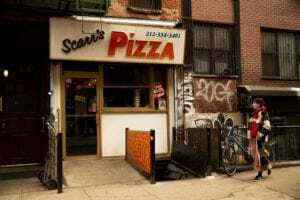 Scarr talked to us about his family history, and how he fell in love with New York City’s particular take on pizza. In this episode we feature the oral history of former 97 Orchard Street resident, Irving Cohen. Cohen was the grandson of Fannie Rogarshevsky, who is featured on our Sweatshop Workers Tour. Irving and his family moved in with his grandmother in the early 1930s after his father passed away. While living at 97 Orchard, Irving became close with the Baldizzi family, Catholics from Sicily, and fondly remembers eating their non-Kosher Italian food across the hall. 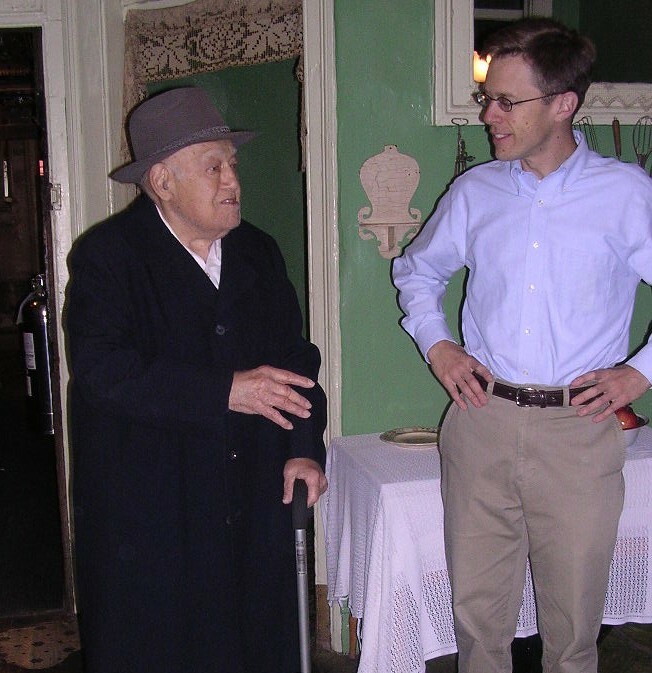 This is a photograph of Irving Cohen visiting his grandmother’s recreated home. He is with Steve Long, the museum’s former Vice President of Collections and Education. Steve interviewed Irving for his oral history. 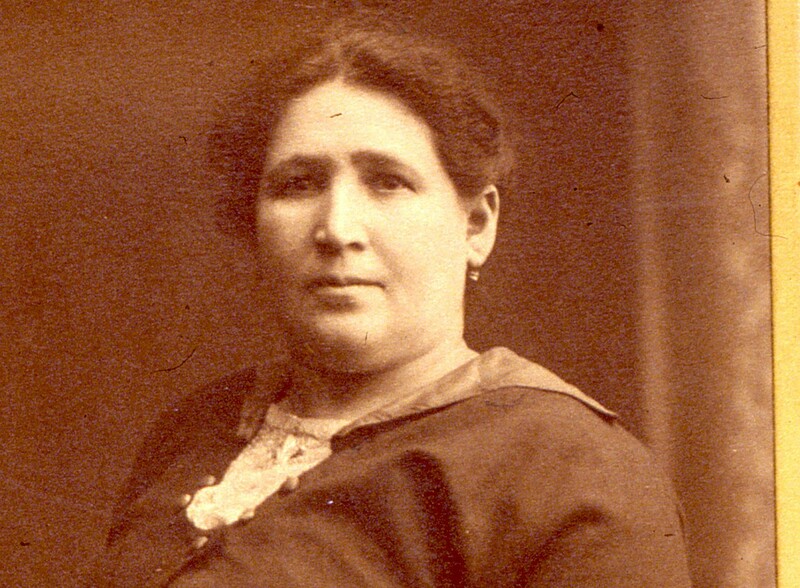 This is Fanny Rogarshevsky, Irving Cohen's grandmother. He and his family moved in with their grandmother at 97 Orchard Street in the early 1930s. The Tenement Museum has conducted extensive research into the lives of the residents of 97 Orchard Street. Through that process we met former resident, Irving Cohen. Irving spoke to museum employee Steve Long on July 12th, 2006 at the age of 92. He was born across the street, at 96 Orchard, in 1913. 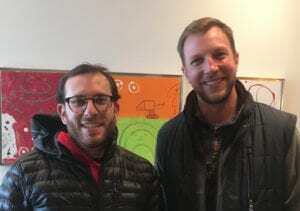 In creating this podcast episode, Scott Wiener’s pizza expertise was incredibly useful.